Export Digest Newsletter-3T Impex Set to Hold 2nd Edition of Agro Processing & Packaging Workshop in Lagos. 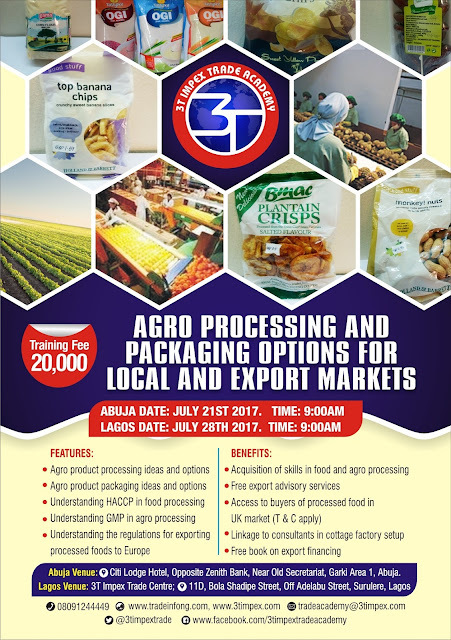 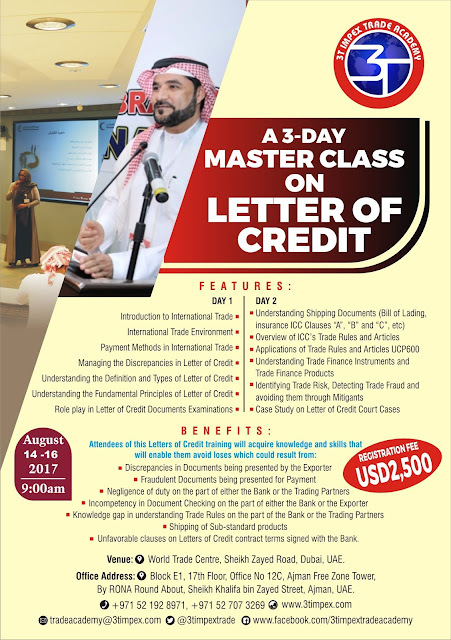 In This Week's Edition of Export Digest Newsletter-3T Impex Set to Hold 2nd Edition of Agro Processing & Packaging Workshop in Lagos. 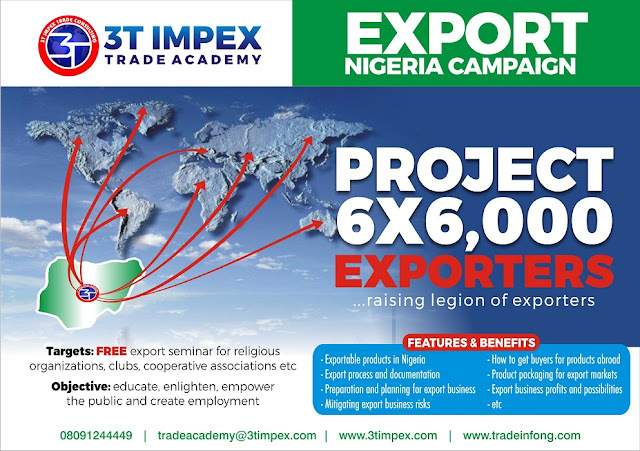 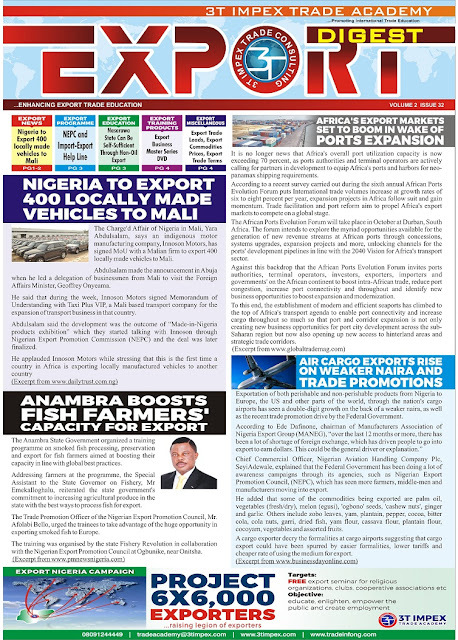 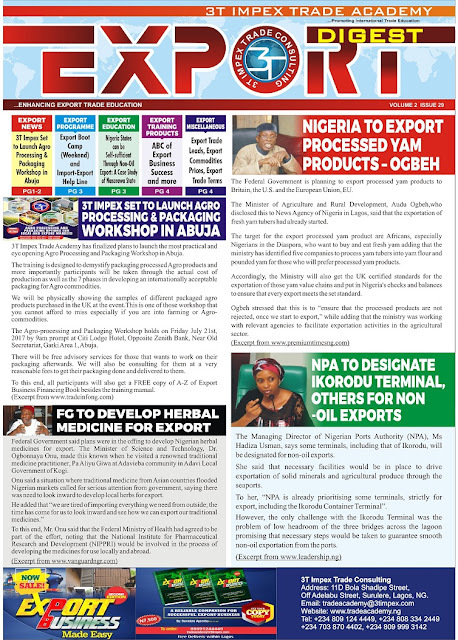 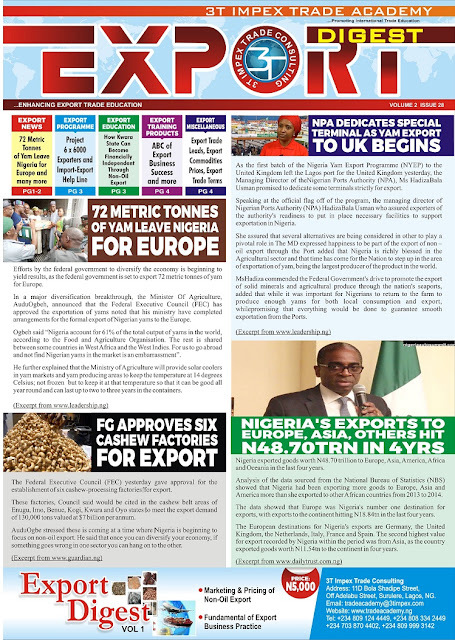 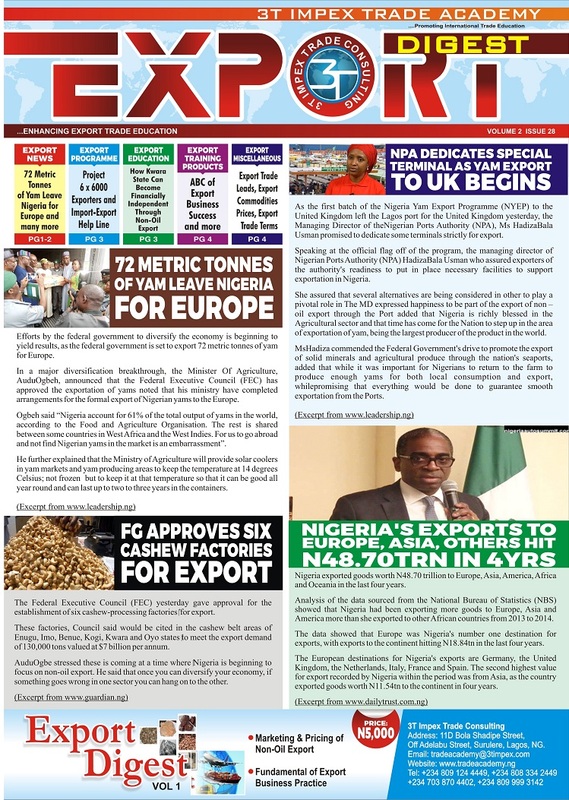 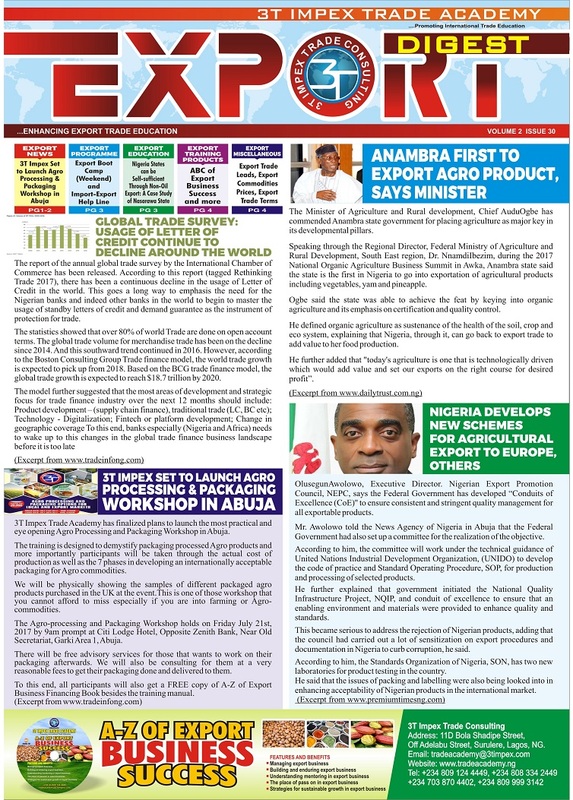 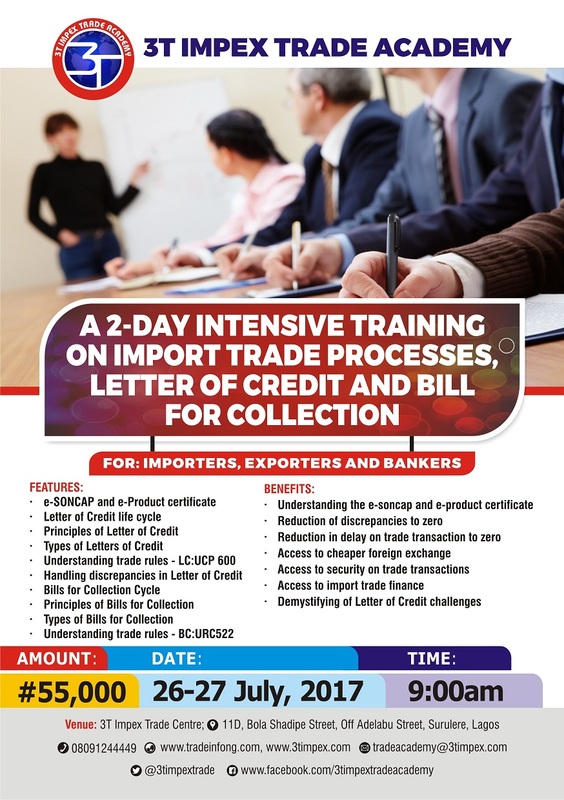 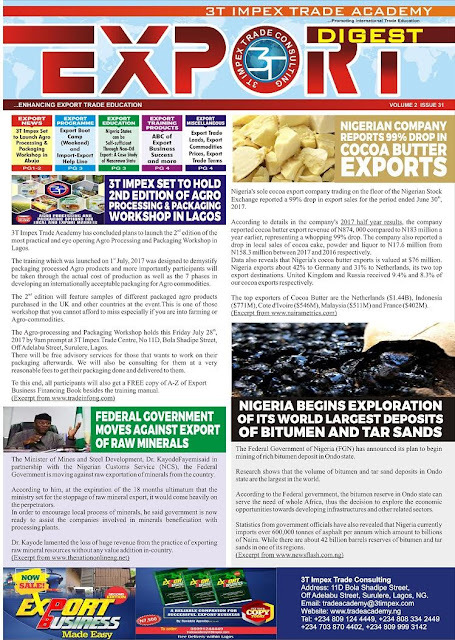 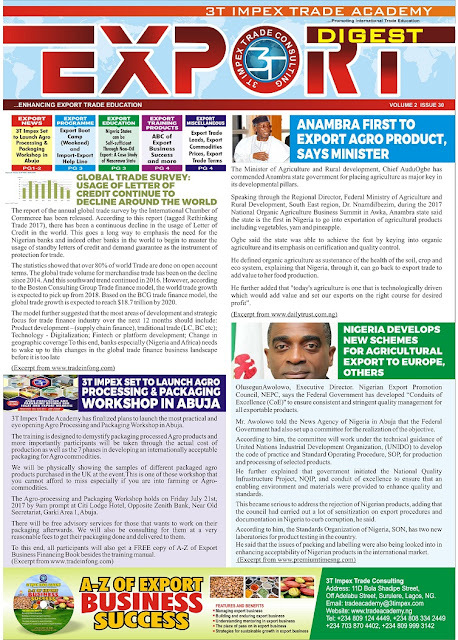 In This Week's Edition of Export Digest Newsletter-3T Impex Set to Launch Agro Processing and Packaging Workshop in Abuja.